The skies above Coopers Beach put on quite a show at sunrise but the photographer is the only person on the beach this morning to witness the show. 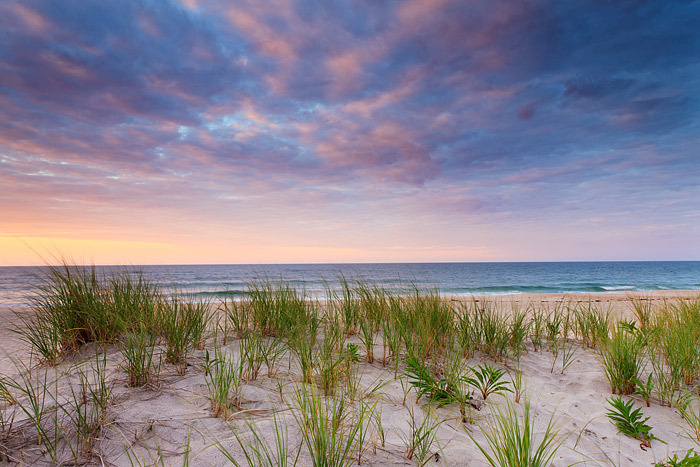 Coopers Beach is one of the Hamptons most popular beach locations for good reason. It's located in Southampton, New York and the beach on Long Islands south shore is a great place to bury your feet in the sand or go for a swim in the Atlantic Ocean. Photo © copyright by Thomas Mangan.